Japanese tech giant Sharp has revealed a new prototype smartphone phone that folds vertically like the old Motorola Razor did, only this model has a 6.18-inch AMOLED display that’s small enough to fit in your pocket. What’s different about this device and the cumbersome Samsung and Huawei tablet type smartphone offerings is that this device folds over the y-axis, instead of the x-axis. Sharp that now owned by Foxconn one of the world’s leading consumer technology Companies revealed an elongated screen features WQHD+ 1,440×3,040-pixel resolution, making the display surprisingly crisp and clear. The device also supports outward folding akin to other tablet-style folding displays on the market. What’s more, Sharp claims that the screen can withstand being folded more than 300,000 times before it starts to show damage. That means if you fold your phone 100 times a day, it’ll last roughly eight years before it begins to show some wear and tear. 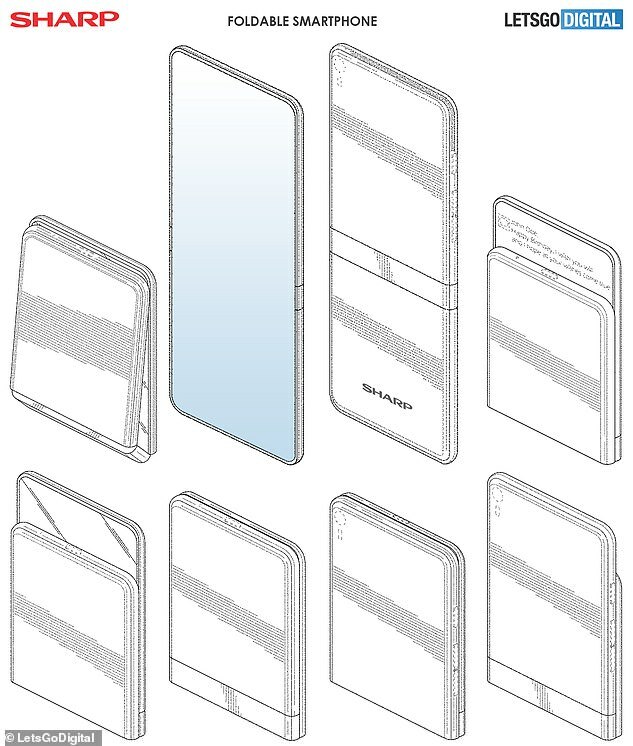 By comparison, Samsung says its own folding phone, the Galaxy Fold, can withstand up to 200,000 folds. Bloomberg recently claimed that the Fold develops a crease on the main screen after it’s folded about 10,000 times, Samsung has disputed this. Samsung will start accepting pre-orders for the device starting tomorrow in Korea, Europe and the USA. Sharp executives claim that the device is still in the early stages of development, the Company first filed a patent in 2017 for an elongated flexible display. Similar to the prototype device shown off this week, it features a vertically folding display with a clamshell design. It also describes a ‘unique hinge that can bend at two points,’ allowing users to keep a portion of the display visible after it’s been partially folded. The Galaxy Fold, which features an unprecedented six cameras and two batteries, if released in Australia will cost over $3,000. The device features a 7.3-inch AMOLED Infinity Flex Display with QXGA+ resolution.